On sale! (normally $139) PRO cables. PRO results. 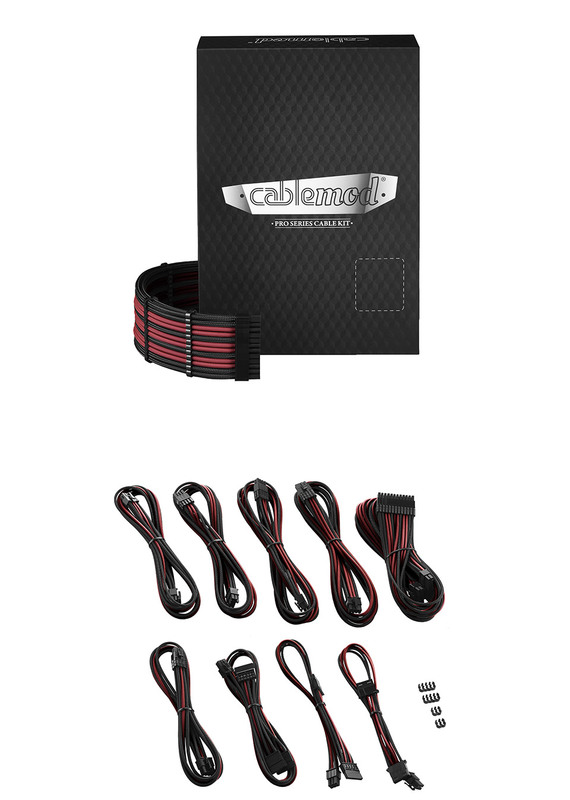 The CableMod PRO Series represents the next-generation of CableMod cables engineered for the discerning PC enthusiast and modder. Designed to be a replacement cable set for EVGA G3 / G2 / P2 / T2 power supplies, and featuring their vibrant and durable ModMesh sleeving, these cables deliver the robustness and craftsmanship for builds where only the best will do. The CableMod PRO Series begins with extra-thick wires for a fuller, more robust look by reducing the gap between each individual wire. Each cable is also constructed to completely eliminate merged terminals on the component side, which means that only clean, untangled wires are visible for an unmatched professional look. To accentuate the look even further, the main cables each come pre-installed with matching premium closed cable combs. New hybrid cable combs are also thoughtfully included for the 4+4 pin EPS cable. These new combs combined with CableMod's community-developed colour pattern and selection results in a bold, fresh aesthetic that will amplify the look of any build. 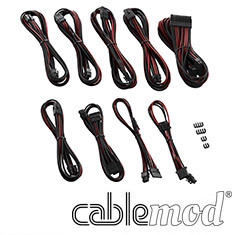 Like all CableMod products, the CableMod PRO Series is crafted with the utmost attention to detail. Their famous ModMesh sleeving for superb vibrancy and excellent durability. The minimally-applied heatshrink has been thoughtfully located to be hidden away behind your motherboard tray, and precision moulded connectors mean a secure and easy fit for every build. Note: Please check the CableMod compatibility page to confirm if this kit will be suitable for your power supply model here.